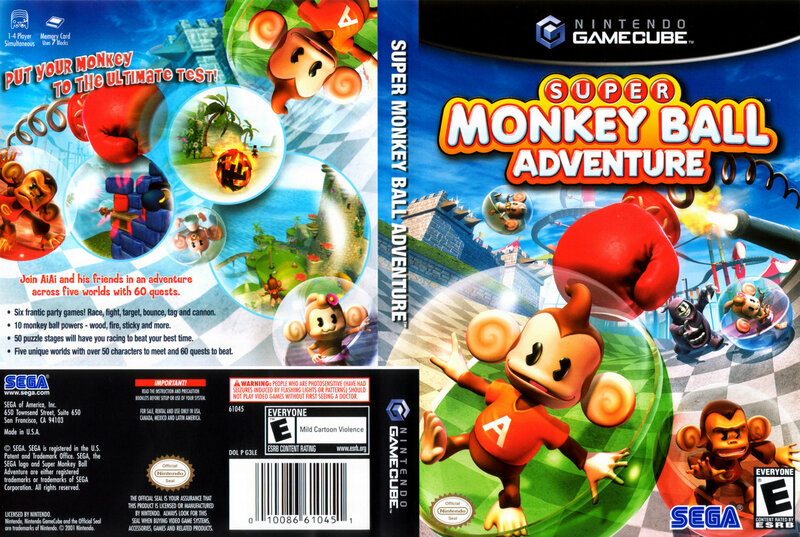 Super Monkey Ball Adventure is (not officially) a mix between Sega's Super Monkey Ball series and Traveler's Tales' Lego game series. In it, you will be using standard monkey ball controls in an open world environment. Your goal is to bring happiness to all four worlds by completing missions and killing enemies, known as "Naysayers" to earn joy points. along the way, you will meet a monkey dressed in red who gives you abilities that you can activate by chanting(pressing A and entering a code). If the idea of an open world Monkey Ball game doesn't appeal to you, this game still offers six party games and 49 unique levels. Now you can add videos, screenshots, or other images (cover scans, disc scans, etc.) for Super Monkey Ball Adventure to Emuparadise. Do it now!